Does privacy exist in a world of social networks and sharing? We are the connected generation. Thanks to our ever-present mobile devices we are always ‘on’ and connected. This allows us to capture a record of all the great things we do, and share our experiences, our recommendations and our memorable moments with friends, colleagues and the world at large, through the medium of popular social networks like Facebook, Twitter, and Yelp. We broadcast these moments out to the rest of the world. We let others share in our passions and see the details of our daily lives. We have become the lifeblood of information for our friends and followers, and they have taken on the role of gatekeepers as we filter and pump information from network to network. As the opportunities to share information have become more ubiquitous, there has been an increasingly hyped-up debate and concern around the topic of privacy. But is privacy really the issue? As Jeff Jarvis rightly points out, the reason for using social services is for sharing, not hiding. Twitter and Instagram are prime examples of this, where the user is forced to choose between sharing everything or limiting their sharing to a personally selected group who apply for the privilege. Nonetheless, the fact is that although many of us want to share, we want to be able to fine-tune our audience. This challenges services like Facebook where you determine sharing settings in advance of your broadcast. Has the notion of a ‘friend’ become too diluted by the many different definitions of ‘contact’ across social media networks? Path is trying to redefine this by limiting the number of friends you can add to 50, encouraging you to only share with your “real friends.” But then the question is whether this really solves the issue? Do we only want to share with our close social circle, or do we (as I would argue) have things we want to share with other groups of contacts we would not classify as “friends”? The problem is that there is currently no universal standard for privacy settings. Each social network has implemented their own interpretation as it applies to types of content shared on their platform. As social networks open up their APIs, allowing users to give third parties access to their content, their social media content can become spread across multiple services. Every network defines their privacy and sharing settings differently, so there is significant ambiguity around how these settings translate when transferring content among services. If you try to inherit privacy settings from multiple services the level of complexity that results is enormously challenging both from a development and a user perspective. No one has solved this problem yet, and it is a highly relevant and important issue that needs to be addressed. We need a platform where you can manage and arrange all your connections into one simple structure, allowing you to easily define the privacy layers for how, and with whom, you share your content online. And this platform needs to integrate all the social networks. Facebook Connect was a good first attempt at this, but sadly they quickly closed down their API that allowed you to invite your Facebook Friends to join third-party services. Now you can only view and add friends who are already signed up to that service. The continuation of Facebook Connect in its original form would have made Facebook the major organ of social media sharing, pumping content between networks and controlling the flow to new arteries of social circulation. For users, this would have allowed them greater control and continuity of how their content was shared beyond the confines of Facebook’s network. Until we create a unified theory of sharing across social networks, there will continue to be great concern around the conflicting definitions of individual privacy. Regulators, in their efforts to protect internet users, are already discussing how to create barriers to protect the individual and simultaneously stifle social sharing. What we need is not greater personal protection through legal limitations, but consistency and standards that are recognized across social networks. This past week the Google+ platform was revealed, ushering in a promising new chapter in the movement towards a universal standard of privacy. Google+’s ‘circles’ interface allows users to easily organize their network of contacts into spheres of association. Their organizational model for privacy takes what Facebook has developed one step further by allowing the user to easily visualize their different spheres of contacts, and determine which group they want to share updates with as the final step in broadcasting content. Wouldn’t it be great if I could link that structure to all of my other social networks? Let’s hope that Google+ hurdles past the point where Facebook Connect retreated from and becomes the new heart of social network sharing. Eric Lagier is the cofounder and CEO of Memolane, a service that creates social media timelines for individuals and companies. Lagier formerly was the director of hardware and mobile business development at Skype. In the world of SM there is no privacy at all. You can try a lot to make yourself and things secure but you won’t be able to actually. But it also depends on how you define private. Most social networks now allow privacy control to the public. Ad companies may be able to use your data but they still don’t have direct access – it’s not like Facebook advertisers can browse the site unhindered, they jest get access to metrics and can target demographics. Good post. And yes, a new platform will be good. But a ‘universal privacy standard’ exists. It is called discretion. Most of the major services that people use every day like Facebook and Twitter offer solid privacy options, so I don’t see where they are a problem. If you are concerned about your privacy on there, either don’t use them or restrict who can see your stuff. What is more of a concern to privacy is http://www.dirtyphonebook.com and other services where people can post stuff about a person without their consent. I view that as potentially a much more serious problem than anything else because you have no say in whether or not your information can be posted. I don’t know if Google+ is a privacy risk because I haven’t studied that in depth yet. We see so many statistics on likes/shares etc but we are not measuring the ways in which users have stopped using services like Facebook. 2. How many times do you say to a friend at a party ‘dude, don’t tag that picture of me on Facebook’ because rather than going out to a core bunch of friends, it can potentially go out to 1000’s via comments on that tagged image. 3. How often do people not ‘facebook connect’ to a site because they are not sure of what information will be posted on their wall. If google+ can help with the basic issues ‘from the ground up’ then good luck to them. 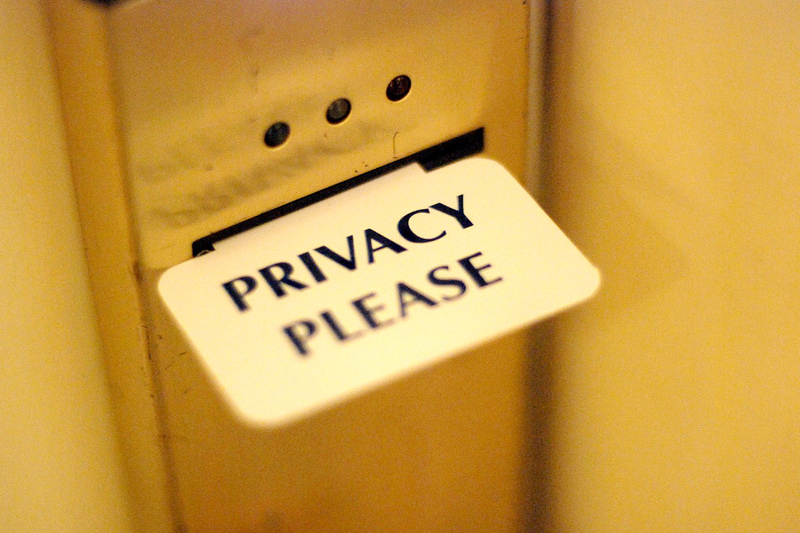 These are the things that matter to me when it comes to privacy. I love Jeff but he thinks because he has chosen to live his life in the public that everyone else should. Yes, that lifestyle works for the Jeff’s lifestyle (professor of journalism and traveling the world to attend conferences). It does not work for the average joe. I do not want millions of people knowing intimate details about me. What I choose to tell my mother is vastly different than what I tell my drinking buddies. This is why I have avoided Facebook and am thrilled with what Google+ offers. I propose a standard “privacy settings cookie” in the browser that all sites would use. It’s one of the items on my web page http://billdietrich.byethost8.com/Facebook.html ; please take a look and give me feedback. Thanks. Privacy is a concept that continues to fade away once you expose yourself to any kind of social activity or even with services like telephony. I know it very well because our clients do ask us (this is our company: http://www.datosperu.org/ee-global-security-privacy-nor-sur-sac-20482571515.php )to eliminate them from Google. It proves to be quite difficult! Not a peep that these “social networks” are all built with a revenue stream where the real product is the users’ private info, which is sold to the real customers, who are ad buyers. Will there ever be a company that would want to solve a “problem”, such as more refined and nuanced privacy controls, when solving that “problem” would directly diminish the value of the product available to be sold to their real customers? There might be, but only if they have a revenue stream greater than online ads, where it will not affect their bottom line. His point of rephrasing this as a user interface issue more than a security issue is I think a very compelling — ultimately nothing you put online can be private through security, because you had to share it with someone, and that someone can copy it one way or another. But user interactions that give social hints and reinforcement about how you’d like what you say shared has been something fairly lacking in online interactions compared to our face-to-face interactions.